If he actually tried to jump off that cliff with those I’m guessing this is the last picture of him alive. WITH only a pair of strange cloth-covered wings strapped over his arms, Joe Fodie of Rowena, Oregon, hopes to glidfe through space by the power of his arms alone, after jumping from a mountain top precipice. 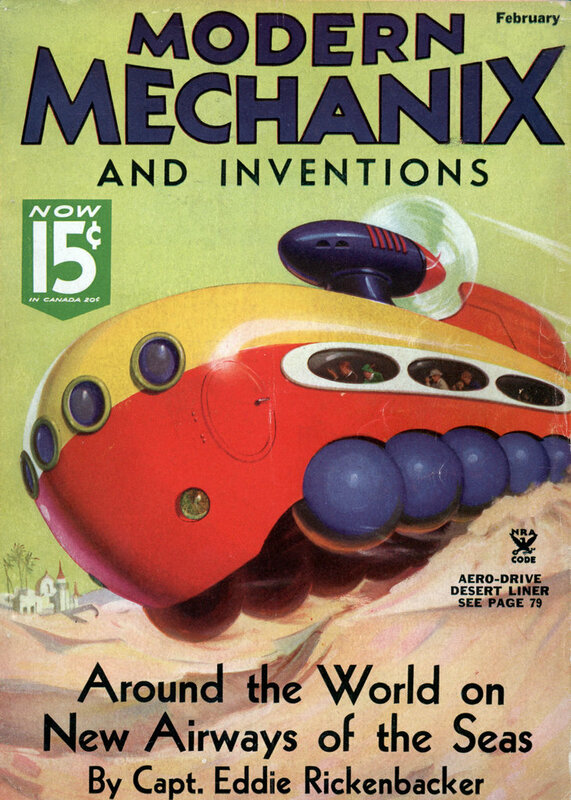 Should this intrepid inventor glide safely to earth, it will be the first time man has flown through the air under his own power. The queer wings are hinged at their center, with a stop to prevent them from buckling upward. As the arms are moved upward in flight, the outer halves of the wings would naturally fold inward; on the downward stroke they flatten out again, providing lifting power. 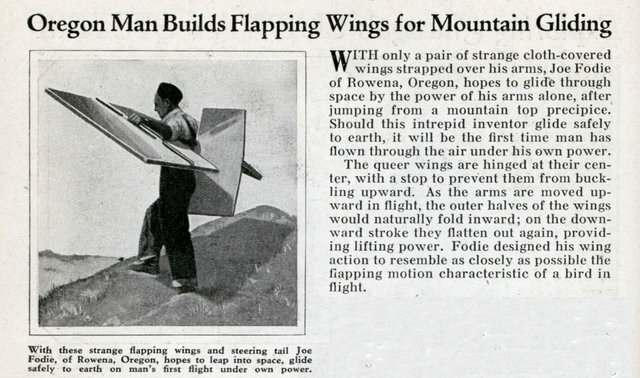 Fodie designed his wing action to resemble as closely as possible the flapping motion characteristic of a bird in flight. There are easier ways to kill yourself…..
You would think by 1935 people would grasp the concept that human muscles cannot produce enough power to fly.